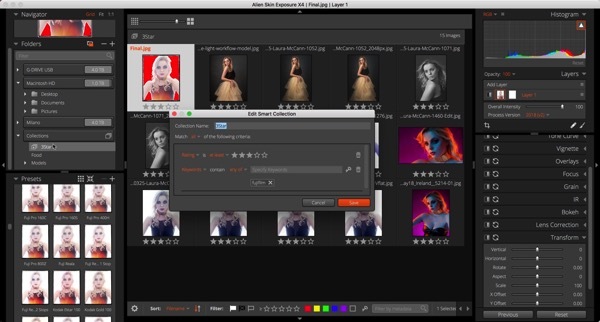 Ever increasing in depth and likeability, Alien Skin have launched the X4 version of their raw processing and file management app Exposure. 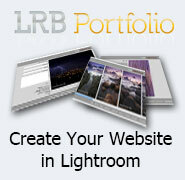 It’ll still work as a plugin for Lightroom and Photoshop though, and works well alongside those applications. 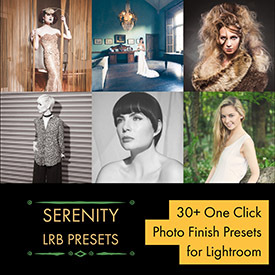 Shadow and Highlight Recovery Improvements The fastest tools to smooth out dynamic range are the Shadow and Highlight tools. 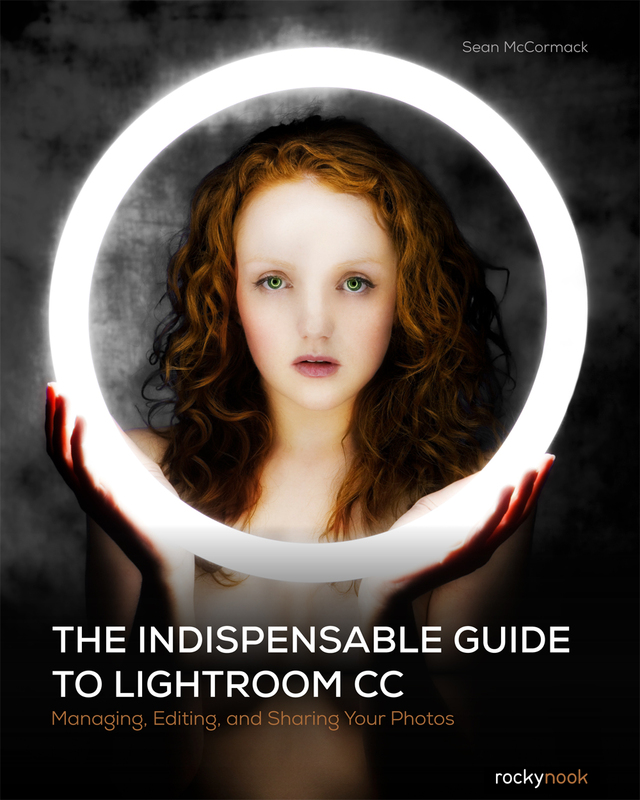 These effectively act as tone mapping tools, allowing you to bring down bright highlights and open up shadows to see more detail in the shot. 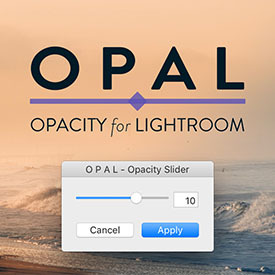 Light Effect now fully Adjustable Before X4, you could zoom and set opacity as well as shift orientation with Light Effects. Now you can move and rotate them as well, making for a powerful tool for making unique photos. Simply select one of the new Light Effects and grab it by the tool centre to move it. Use the rotate handle to spin it. 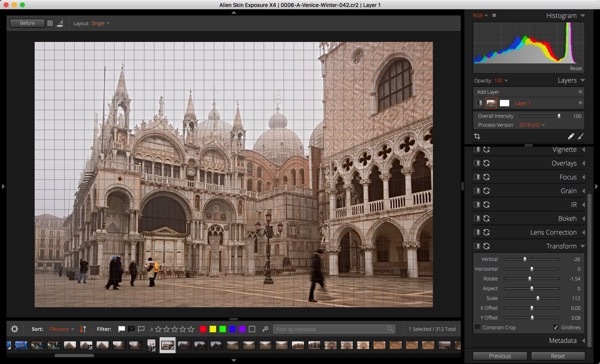 Transform tools to easily correct tilted or skewed perspectives. 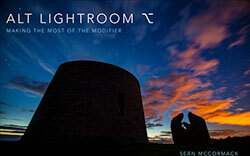 For those familiar with Lightroom, this is similar to the manual controls in the Transform panel. Vertical is used to make tilting walls parallel, while Horizontal helps line up floor and ceiling lines. Turn on the Gridlines option to help with this. Rotate changes the angle of the photo. 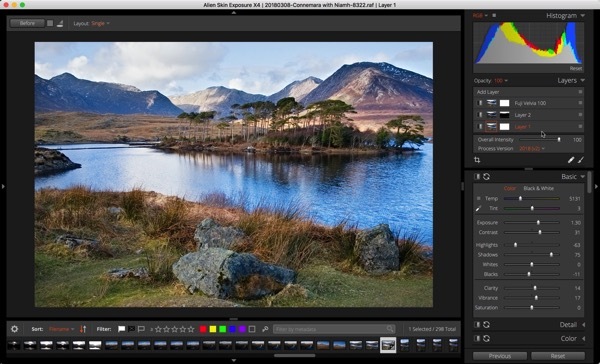 Aspect allows you to squish or stretch the photo to compensate for where the opposite issue is caused by your correction. Scale lets you zoom in and out to see the edges. The X and Y Offsets allows you to move the photo around inside the frame. 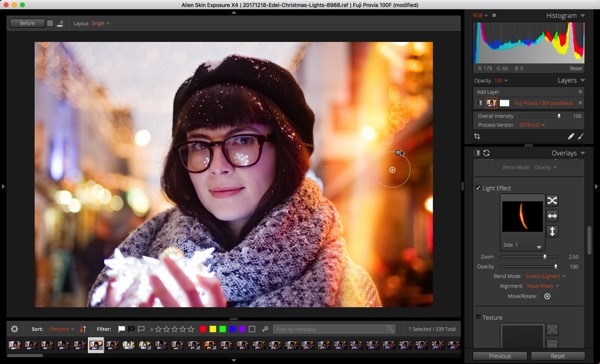 Finally Constrain Crop automatically crops in to hide any transparency that occurs from the transform. Smart Collections Automatic criteria based collections that help you automatically organize your photo library are now available. Click on the Collection header and choose ‘New Smart Collection’. From the dialog, choose the mix of criteria you want to specify. 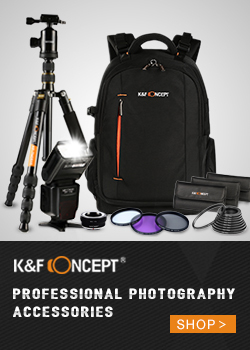 X4 will populate the collection with matching photos. Performance Improvements Faster launch times, image loading, and image exporting make for a better experience. 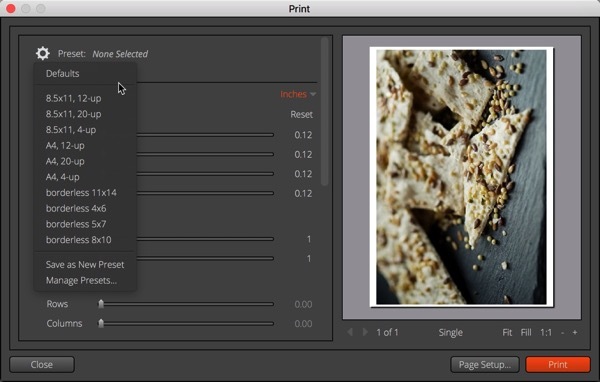 Improved Print Experience New presets for common print sizes have been added to speed printing. 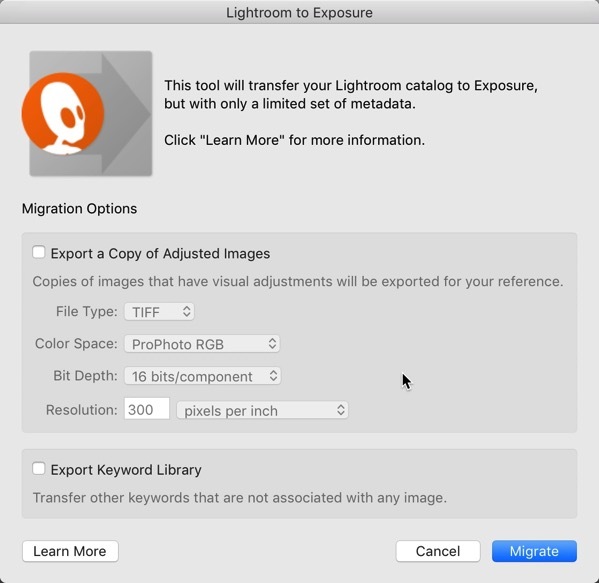 If you’re looking to move from Lightroom, Exposure installs a migration tool. 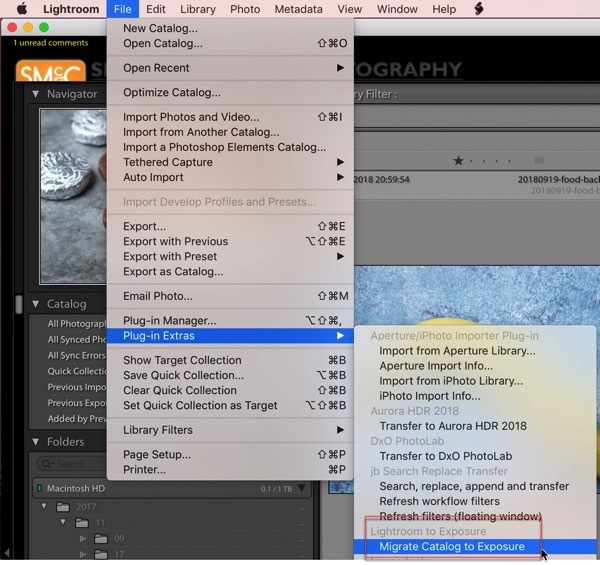 Go to File > Plug-in Extras > Migrate Catalog to Exposure. 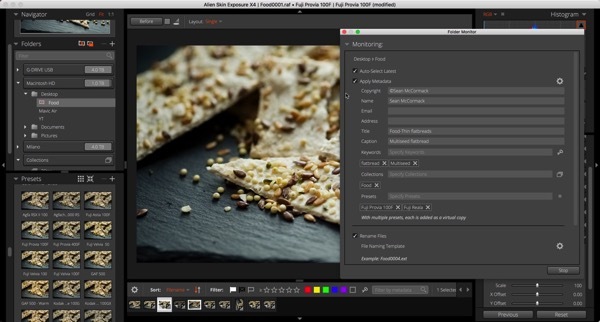 As the tools in Exposure are not going to visually match those of Lightroom, you can create rendered files to get those looks in Exposure. Obviously you’re not going to have the benefit of Raw processing on these rendered files. 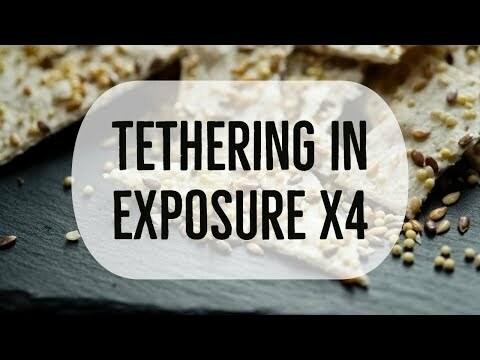 I’m a fan of Alien Skin Exposure and X4 serves to drive the app into better territory with the new file management and development features. While the tethering still relies on an external app, it’s done well here. Transform is a welcome tool, and while it lacks the automatic and guided features in other programs, it doesn’t make it less useful. 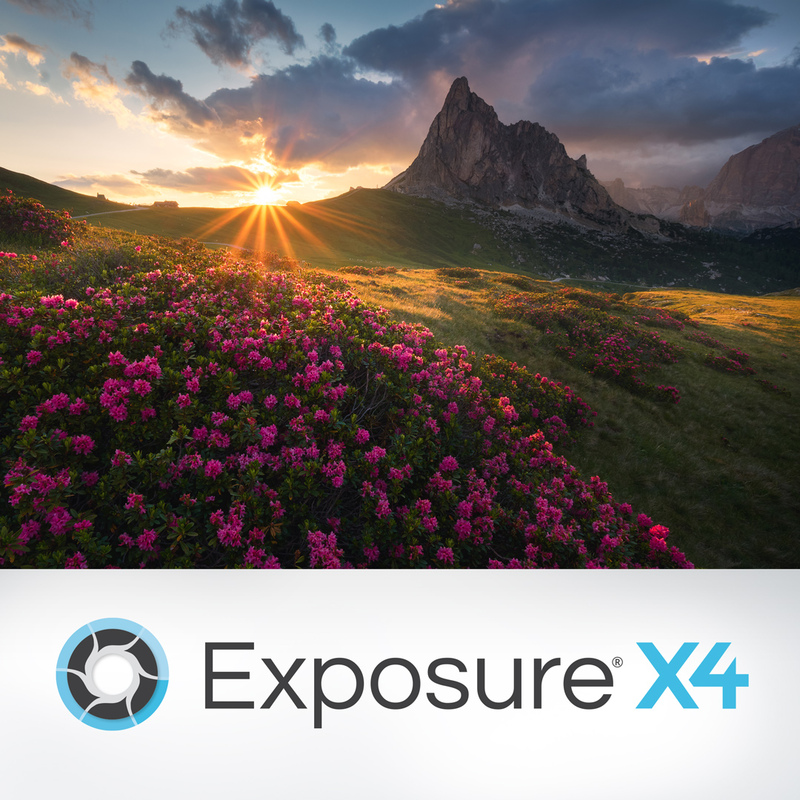 You can download a free 30-day trial of Exposure X4 from the Alien Skin website. 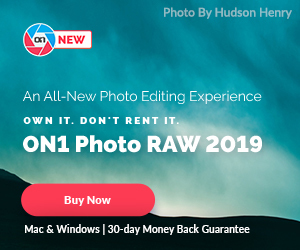 The full price is $149, but owners of previous versions can get it for $99. In Folders, click the +. Choose Add Bookmark. Select the drive you want to add.